A huge profit margin with no control over the price by any govt agency is one of the main reasons why illegal mining of river sand continues unabated in the state. The sand mafia in the state, reports argue, is largely controlled by politicians and their close inner circles and thus, it dares to take on the law. As per an official, there is a direct connection between big infrastructure, irrigation projects and illegal sand mining. The construction boom has resulted in a sharp increase of this illegal trade. Sand is a minor mineral and the mining of sand comes under the state jurisdiction. Hence, illegal sand mining is rampant in states that are seeing huge infrastructure and irrigation projects. Unbridled illegal sand mining in Dakshina Kannada and Udupi districts over the last few decades has caused irreversible ecological damage, according to environmentalists and experts. Illegal sand mining that thrives on the banks of Netravati, Phalguni, Sita, Swarna and Panchagangavali rivers has affected aquatic life as well as the course of the rivers. Traditionally, sand was extracted sustainably by the fishermen. However, the increase in demand from major cities in the state and even neighbouring states has resulted in the deployment of heavy boats, earth movers and machinery to extract sand. This has affected the fragile ecosystem of the coastal region. Alternative to River Sand? In an effort to reduce the environmental damage and simultaneously meet the increasing demand for sand, the state govt was promoting M-Sand (manufactured sand). According to Economic Survey of Karnataka (2017- 18) tabled before the assembly, the state claimed that various programmes are being held to bring public awareness on the usage of M-sand. M-Sand is produced in 18 districts and during 2017- 18, the annual target of M-Sand production was 30 MT,’’ an official said. On questions about the quality of M-Sand. N S Prasanna Kumar, director Mine & Geology said, “It is a myth that M-Sand is of inferior quality. I have visited several construction sites where M-Sand is being used and it is perfectly fine”. Lakshmi Keshava, an architect into construction business for the last 30 years, said the inconsistent supply of river sand has pushed the construction industry to move for M-Sand. “The reality is that good quality of sand is not available. In the last 2-3 years, we started getting low-quality river sand. To meet the demand, the suppliers started mixing river sand with M-Sand or even filter sand. We have stopped using river sand completely and are using M-Sand only. The M-Sand is being supplied in two qualities, one is called ‘single-wash’ and the second one is ‘double-wash’. One can be used for concreting and the other is for plastering”. S Suresh Hari, vice president, Confederation of Private Real Estate Developers Association of India, Bengaluru, said, “Now it is difficult to get sand with required quality and the imported sand (Malaysian sand) is too expensive. The industry is slowly evolving newer technologies like having a lot of metal structures to avoid the use of sand”. The state government’s ambitious scheme of importing sand from Malaysia had not taken off as expected. The Mysore Sales International Ltd, a govt undertaking importing sand from Malaysia, claimed that it had so far imported 8,000 tonnes and sold 4,000 tonnes of sand. MSIL is selling sand at Rs 4,000 per MT sand. Govt plans to sell imported M-sand to Kerala The sand imported from Malaysia in order to tide over the crisis in the state and that was stuck in the Mangaluru Port for almost 10 months due to bureaucratic hurdles finally found its way to the customers. The state cabinet decided to issue permits to sell the sand not just within the state but also to the neighbouring Kerala. M-Sand from Malaysia piles up at ports Even as Karnataka was reeling under shortage of sand, 0.3 MT of imported sand from Malaysia has piled up at the Mangaluru and Krishnapattinam ports. Karnataka faces a shortage of 2-3 MT of sand, with the demand close to 33 MT. The imported sand is procured by individual organisations which had applied for licences. Activist attacked for exposing illegal sand mining In May 2018, Hanumantha Bhangi, a social activist in Raichur, who has been fighting against the illegal sand mining relentlessly for years, was attached by the mafia. He had visited Krishna riverbed at Kolooru village in Shahapur taluk, on receiving information about illegal extraction and transportation of sand. Activist Ajit Nayak murdered In July 2018, activist-lawyer Ajit Nayak was killed in Dandeli, the Uttara Kannada district while he was heading home from office. 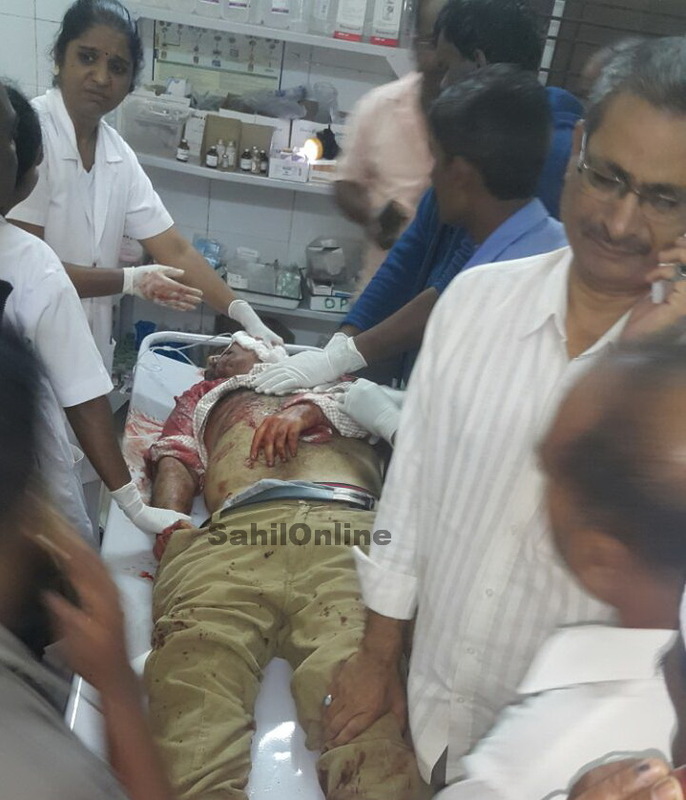 He was stabbed with a sword by an unknown person at his office premises. The incident sparked numerous protests in different parts of the states. Man protesting against ban on sand mining dies A man who participated in the protest in front of the DC’s office died on Oct. 25 evening. His health reportedly deteriorated after participating in the protest demanding for allowing sand removal activities in both CRZ and non-CRZ areas. “Mohammed Haneef had borrowed Rs 6 lakh loan and had purchased two boats to remove sand in Hejamady area along with one Hamza Hejamady. Official mowed down by truck for trying to stop sand mafia In Dec. 2018, a village official was killed in broad daylight while he was conducting a raid against the same in a village in the Raichur district. The accountant was conducting a survey when he suspected a lorry to be carrying illegal sand from Tungabadra River. He tried to stop the vehicle when he was run over by the driver. The villagers tried to rush him to the nearest hospital but he succumbed to his injuries by the time any treatment could start. Govt allowed traditional miners for sand mining CM HD Kumaraswamy on Sept. 25 assured the legislators of Dakshinia Kannada and Udupi districts that the govt will finalise the process of allowing traditional sand miners, in both the CRZ and in non-CRZ zones of the two districts, to start mining from Oct. 16. The move effectively removed the previous govt decision to auction the sand blocks in the non-CRZ zones of the two districts after it failed to attract a single bidder. 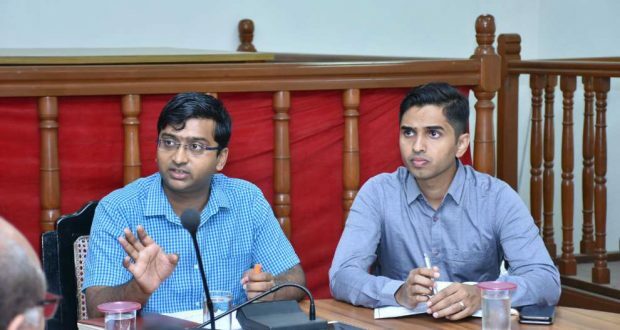 MLAs trying to get mining ban lifted will face cases Environmentalists warned of the filing of a criminal case if elected representatives stage a protest and try to bring pressure on officials on the issue of sand bar removal in Udupi district. The Udupi BJP MLA Raghupathi Bhat had alleged that shortage of sand was affecting the people of the region. He had declared that a protest would be held from Oct. 25 in front of the Deputy Commissioner’s (DC) office if the he did not allow full-fledged sand removal. Standoff between protestors and Udupi DC The protestors were demanding that 171 persons be given permission to extract sand from Coastal Regulation Zone areas in Udupi district. The Coastal Regulation Zone Notification (CRZ), 2011 had imposed a ban on sand mining in CRZ areas. The CRZ ruling covered sand mining in the six west-flowing rivers in the district – Swarna, Seetha, Papanashini, Varahi, Souparnika, and Yedamavinahole. Worries over illegal mining in CRZ areas Environmentalists expressed concern over the dangers of mining sand from CRZ even as political parties, builders and contractors were putting pressure on the govt for stepping up the supply of sand. The National Environment Care Federation (NECF) sent letters to the DCs of Dakshina Kannada and Udupi districts and to Rajendra Kumar Kataria, secretary, Commerce and Industries Department (incharge, mines and geology department) expressing objections to sand mining in the CRZ. NGO asks ACB to probe sand mining Raising questions over the process of identification of sand bars in CRZ area of the river Swarna, the NECF asked the ACB to probe the issue. 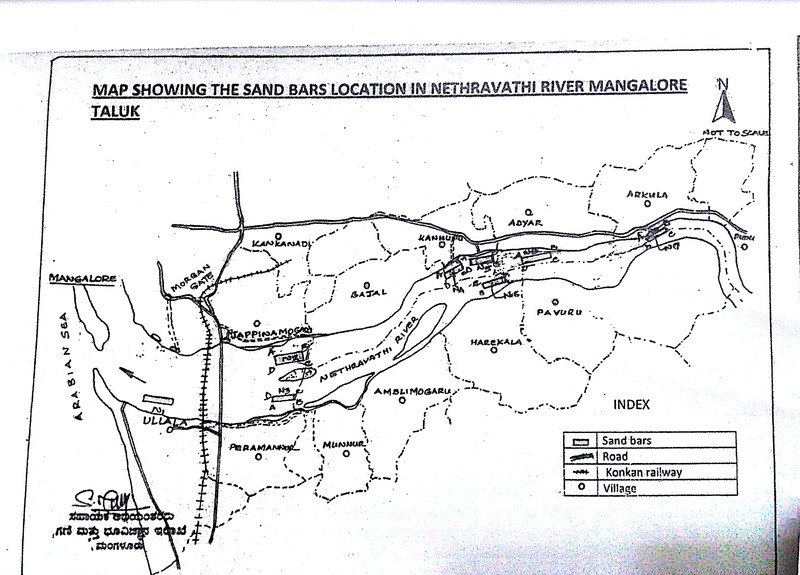 In his complaint, Shashidhar Shetty, general secretary, NECF, alleged: “Few officials of govt departments concerned in Udupi, led by Kundapura sub division assistant commissioner, committed fraud through false identification of sand bars in the river Swarna in Udupi district to facilitate businessmen to mine sand in the garb of sand bar removal.” As per rules only sand bars which are obstructing fishing boats and vessels in rivers could be removed. Mr Shetty alleged that even when there were no sand bars in the river, false complaints were filed stating that sand bars were obstructing fishing boats. Sand mining and politics feed off each other Detailed report on illegal sand mining issue: Sand mining is a highly lucrative business and political parties have crafted a clientele model to run it, officials said. Politicians give mining permits to their loyalists, who in turn pour money into local politics. Illegal sand mining led to collapse of bridge on Phalguni river The collapse of Mularpatna Bridge, the first ever bridge in the coastal region in Karnataka, on June 26, 2018, brought the stronghold of Sand Mafia in the region into the limelight yet again. The locals were informing the officials about the illegal extraction of sand at the base of the bridge, weakening and damaging the pillars supporting the bridge. Mangaluru sand miners swim across river to escape About 12 sand miners escaped from the clutches of a team led by the Mangaluru tahsildar cracking down on illegal sand mining in the district by jumping into the river and swimming across on the city’s outskirts on Sept. 1 night. However, they managed to seize three boats, four JCBs, seven tippers and a scooter. 10 loads of sand were seized from the miners, said Guruprasad, tahsildar. Islanders in a predicament over sand dunes on the beach Residents of Uchchila kudru and Talapady kudru (river islands) on the beaches of the Arabian Sea, bordering Kerala and off Mangaluru, were in two minds over what to do with the sand dunes that had always been a part of their landscape. While nature has prevented free flow of three rivulets — Uchchila, Talapady and Kunjathur that join together at Batpady — into the Arabian Sea due to the presence of large sand dunes, the local administration cut open the dunes during the monsoons to prevent flooding of these kudrus. Sand mining rampant in Raichur The Krishna and Thungabhadra rivers flow into Raichur and the sand on the banks of these two rivers were fodder for sand mafia for many years. Sources in the district administration said that their efforts to curb illegal mining had failed to yield desired results since many involved in sand mining had strong political connections. Police-politicians accuse each other of illegal sand mining The legislators and police at logger-head over illegal sand mining issues. 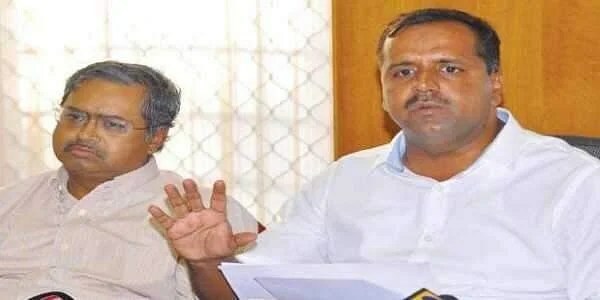 While D Shekhar, BJP MLA from Goolihatti tried to immolate himself in front of a police station in Hosadurga on Jan. 6, 2019 night alleging local police of being involved in illegal sand mining, another BJP MLA M Chandrappa threatens that he and his supporters would picket police stations and “torch” them if the police did not take concrete steps to stop illegal sand mining in Chitradurga district. Lokayukta probe reveals illegal mining in Haveri, Kodagu Lokayukta report revealed that Sand Regulatory Committees headed by the Deputy Commissioner in Haveri and Assistant Commissioner in Kodagu districts were mute spectators and local police turned blind eyes to sand being illegally extracted and transported from the Tungabhadra river in Haveri district and streams of Lakshman Theertha in Kodagu district. Lokayukta orders to stop illegal sand mining in Gadag In June 2018, the Lokayukta Police found that sand was being extracted illegally at Dyamahunse village in Rona taluk of Gadag district. 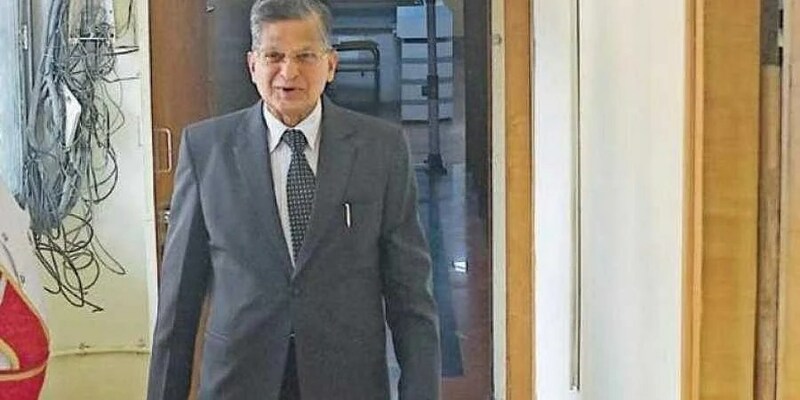 The investigation was conducted by the Lokayukta police based on an anonymous complaint filed with Lokayukta Justice P Vishwanatha Shetty. 29,000 cases detected in 3 years Taking serious note of the fact that nearly 29,000 cases of illegal stone quarrying and sand mining were detected across the state by the Mines and Geology Department in the last three years, Lokayukta said that more stringent and effective steps need to be taken to protect the rich natural resources and prevent environmental imbalance. A total of Rs 110 crore fine was collected for violation of norms in these cases. The Lokayukta’s directions come in the wake of the details submitted by the director for Mines and Geology in response to the complaints over illegal stone quarrying and sand mining. Govt mulls sand extraction from private land In Oct. 2018, state govt planned to allow sand extraction from private property. This came in the wake of the govt permitting 250 traditional miners to extract sand in the coastal districts of Udupi and Dakshina Kannada. Sources said officials of the mines and geology department discussed the issue with CM and were set to amend the sand policy to allow mining in patta land (owned by individuals with proper documentation). Green signal for sand extraction in Udupi The Karnataka State Coastal Zone Management Authority (KSCZMA) and Department of Forest, Environment and Ecology gave green signal for the extraction of sand from the sand blocks identified in CRZ areas in Udupi and Brahmavar taluks in Udupi district. As per DC Priyanka Mary Francis, tenders were invited for extracting sand in non-CRZ area as well and extraction will start after completion of tender process. DC approves mining in Uttara Kannada The district administration granted permission for sand extraction from the water bodies of Uttara Kannda district including River Sharavati, Aganasini and Gagavali, however the extraction to begin, it would take about a week as certain procedures are yet to be completed. Uttara Kannada DC SS Nakul approved the requests of private entities to extract sand adding condition that to secure licence for extraction the entities will have to stock the first 10 loads of sand at the govt’s sand stock yards at Haliyal & Yellapur. Karnataka enters into border row with Telangana ​Tension continued to prevail for the third day on Dec. 21 after the Karnataka officials peg-marked about 75 per cent of the Kagna riverbed near Basheerabad in Vikarabad district declaring that their state owns the stretch. But the Vikarabad district officials took serious objection to it and maintained that a major portion of the land which Karnataka is claiming as its, belongs to Telangana. Though talks took place between the two states at various levels, the issue remains unresolved. Rajendra Kumar Kataria, secretary, mines department, said the policies will be implemented before the end of current financial year by incorporating some changes in the Karnataka minor minerals concession rules. “While the sand policy is being readied by a cabinet sub-committee led by deputy CM G Parameshwara, the other 3 policies on granite, building material and stone crushers will be drafted in quick succession,” said Kataria. Department sources claim that in the case of building material, scores of companies were drawing over and above the permissible limits for which licences were obtained. “For instance, when a contractor supplies building material for a national highway project, the department keeps a record of it as per the mineral dispatch permit (MDP) in the measurement book. So, if the company supplies 10 lakh tonnes for an NH project, it shows that it has an MDP for 2 lakh tonnes, and the rest 80 % of the material is not mentioned in the book,” said the official. NGT not to interfere with state’s rules In Oct. 2018, NGT declined to interfere with the Karnataka’s rules permitting the use of JCB in sand mining in view of the assurance given by the state govt that no mechanised extraction of sand would be allowed in river and floodplain. The applicant had initially challenged the validity of an order issued by the state govt on Nov. 2016, under the provisions of Karnataka Minor Mineral Concession Rule, 1994, permitting the use of JCB for sand mining and permitting in-stream sand mining at the base of the river. 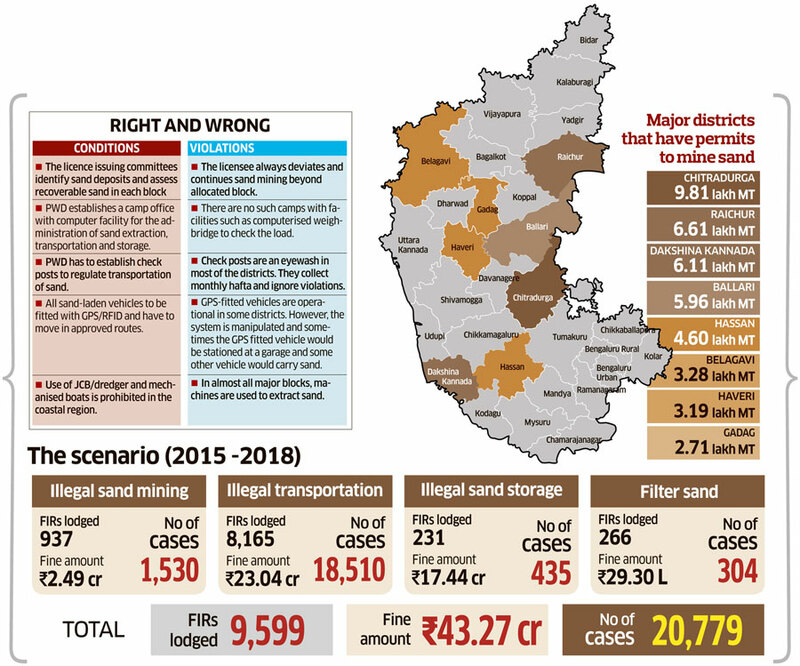 Summary There were several incidents of illegal sand extraction in Karnataka in 2018. The state was using around 70 MT sand annually while the govt was able to produce on 30 MT Reports reveal that the govt was losing about Rs 200 crore to illegal sand mining business. Multiple reports hint at nexus of sand mafia including contractors, politicians, govt officials behind illegal sand mining from the rivers. All the rivers in the state are bearing the brunt of unsustainable mining. The districts of Dakshina Kannada and Udupi are apparently most affected. In spite of CRZ rules, 75% of sand mining in the coastal districts is illegal. As an alternative to river sand, govt is seen promoting M-Sand and importing sand from Malaysia. According to report, MSIL has so far imported 8000 T and sold half of it. Despite facing sand dearth, the govt in Sept. 2018 decided to send imported sand to Kerala. Another report mentions that about 0.15 MT Malaysian sand was stuck at two ports due to bureaucratic hurdles. M-Sand is being produced in 18 districts of state. However there is still no clarity on quality. In absence of river sand, many developers have started using M-Sand. The govt also planned to allow sand mining from private property in Oct. 2018. In Dec. 2018 the state has entered into a boundary row with Telangana emanating from sand extraction issue in Kagna river. As per latest report, the govt is working on 4 separate mining policies for sand, granite, building material and stone crushers to stop the revenue losses to corruption. Like Madhya Pradesh, there were violent attacks on Govt officials and activists raising voices against illegal mining. In July activist Ajit Nayak was murdered in Uttar Kannada district while in Dec. 2018 a govt official was killed during a raid. There were couple of other reported incidents of threat and violence to the people working to stop illegal mining. One person died of heart attack during protest rally demanding removal of sand mining ban in Udupi district in Oct. 2018. Similarly in June 2018, the first ever bridge in coastal area collapsed due to illegal sand mining. Despite this, the local MLA favoured more sand mining from the Phalguni river. It seems that while illegal sand mining was going on, public and small sand miners were suffering from scarcity, high prices and sand mining ban. It is also surprising to see that Mines and Geology Department has detected about 29,000 cases of illegal stone quarrying and sand mining in last 3 years. The issue of sand mining in coastal area is also curious, where on the one side politicians were putting pressure for allowing sand mining in CRZ and Non-CRZ areas and the concerned activists on the other hand trying their best against the demand. Finally in Oct. the district administration has approved the same. The open fight between BJP MLAs and police officials in Chitradurga district in Jan. 2019 was another interesting episode in the series where they blamed each other of being involved in illegal mining activities. Amid the gloomy scenario the efforts by Lokayukta report disclosing and stopping illegal sand mining in Tungabhadra river and in Kodagu districts were appreciable. However, there were not many effective court orders regarding illegal sand mining during 2018 in the state.